Rio is a feel-good city. I don’t know about your neck of the woods, but my neck of the woods could use some feel-good vibes. I’m dedicating each of these vibes to just a few of the lovelies in my life. Pick and choose your favorites, and let me know what you love! From the Rio-based children’s illustrator Thalita Dol. Caipirinha Limeade from Martha Stewart. Passion fruit, almond and poppy seed cake from Technicolor Kitchen based on the Brazilian bolo de maracujá. From Anthropologie’s April 2010 catalog photographed in Rio. Click here for more pics and information on the places pictured. 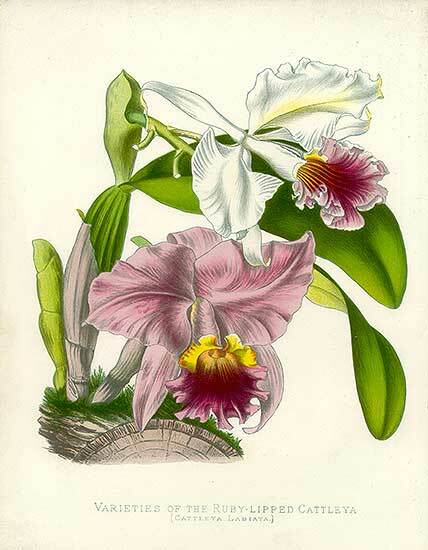 The national flower of Brazil, Cattleya Labiata. I love you! And your trip to Rio! Emily, that’s what I was going to say! I love how you gave me a little taste of Rio and how it influences pop culture. I can’t wait to see what your photos and experiences of Rio will be like! thanks rivia! I’m thinking I’ll take a disposable camera on the trip and see how those images turn out. (It helps reduce my stress when I don’t carry valuables while traveling.) A little risky, but should be fun! Ohhhh Shannon thank you! I love YOU! And when you come over, I’m totally making that drink… looks amazing and summery! Shannon! Thank you for the feel-good vibes and cake!!! It reminds me of the delish cake at the grit! I was wondering why I felt so upbeat lately. And to think I was just reading my latest Martha Stewart Living magazine last night in bed… (what can I say, I’m a wild woman)! Hahahaa we will Martha Stewart it up soon! we’ve got to start thinking of names for our trip album– diposible camera adventures perhaps? the sun is shining, the weather is sweet and so are you! energy is coming right back your way! obrigado amor!! You were in my dream last night. We were traveling and I did cartwheels in a giant empty room with red carpet. “Cartwheel” in portugues could be our title… (carrete das rodas?) I also like “the sun is shining.” besos!